Princess dresses adorned by the rich a must have in any princesses collection. 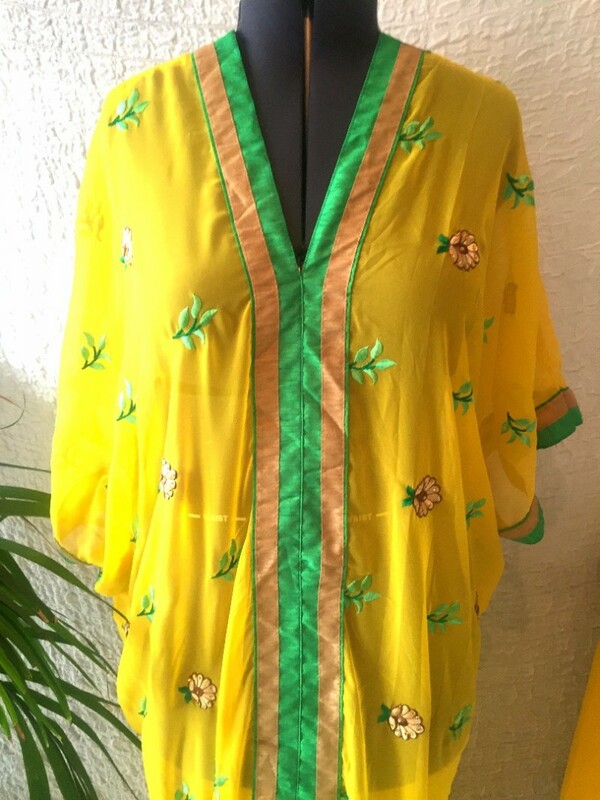 If you are looking for that special event where you want to make a royal entrance why not try a full flowing caftan. Be warned it is sheer so you will need apparel beneath. 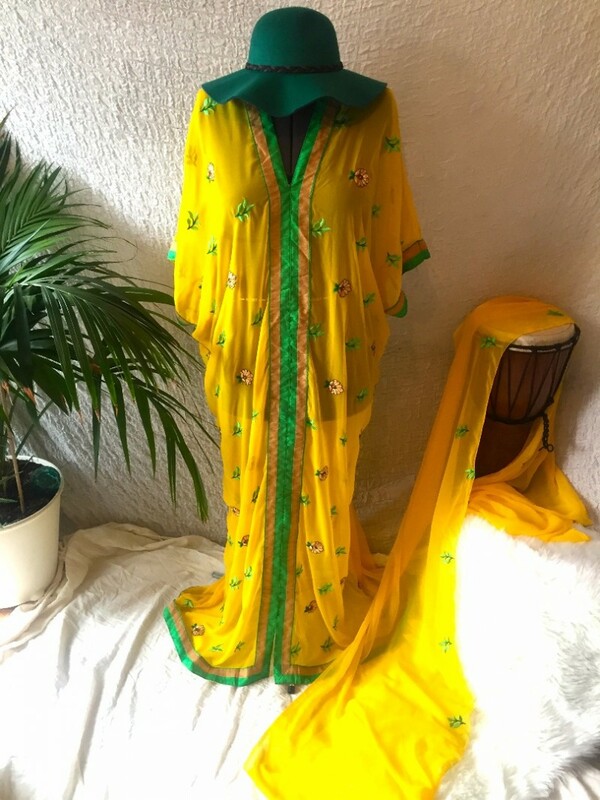 Our designer suggests: This caftan would look fabulous worn with either a plain white or yellow vest dress or a vest top and wide legged trousers or leggings.